One of the perks of being a life coach is you are guaranteed a lot of variety, not to mention the endless ways you can support others. As a life coach, you focus on numerous aspects of your client’s life, evidenced by a coaching plan that covers everything from their career, business and identity to health, enjoyment, creativity, spirituality and even relationships. This is true whether their end goals pertain to creating life balance, achieving personal fulfillment, life transitions, or working toward some aspect of success. The key to successful life coaching is to focus on your clients’ “whole” lives as interconnected. This multi-dimensional approach is what improves their overall level of happiness, success and prosperity. It is also what enables them to transform multiple aspects of their lives for the better. A common path among life coaches is to work with clients who are currently traveling a path similar to the coach’s past experiences. For example, perhaps you’ve reinvented your life after an unexpected job-loss that sent you on a year-long self-exploration, traveling around the world. Now you want to help others find their joy as well. Or maybe you are a successful entrepreneur who has created a life of balance and ease through mindfulness and yoga. Now you want to capitalize on your knowledge and experience while giving the next generation a helping hand. So you focus on the business owner’s whole life and create a service package that makes that the central component of a sustainable business. Regardless of the origin of your experience, it can be leveraged to effectively guide the coaching process. Your clients take great comfort in the fact that they’re championed by a kindred spirit – someone who has successfully traveled a similar path. A further subset of this niche is seen in those who customize their life coaching services with a focus on anything from work-life balance, intimate relationships, and creative expression to life purpose and meaning. Recently, I’ve also noticed a surge in life coaches who specialize in mindfulness, energy healing and spirituality. The beauty of life coaching is it’s virtually limitless in how you serve others. Designers: Graphic, Interior, Landscape, etc. Those who work with people that want to work with the whole person! As a life coach, your clients typically seek you out as the result of a significant life change or transition. Others may be stuck in the doldrums and recognize the need for change even without a wake-up call. Standing at a crossroads, they are looking for their next steps, seeking clarity, self-understanding, motivation and direction (often in several areas of their life at once). Whether they are looking for a little life tune-up or a complete life reinvention, you can expect their list of goals to vary based on their individual needs. They may want to simultaneously lose weight, find their ideal partner, start painting and update their résumé. Many are seeking a more meaningful and rewarding life, where others have specific needs in mind. One of the more common requests I’ve received in recent years, among clients across the spectrum, is a yearning to rediscover and reclaim their wholeness and be more authentic. 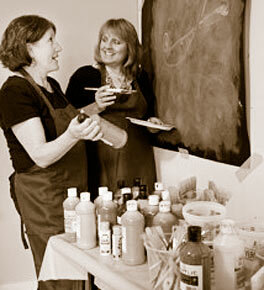 Life coaching is for you if you relish working at the deeper levels of change. If you want to go beyond checking off accountability lists to creating transformational results, or you love working holistically and touching on multiple aspects of a person’s life, you’ll love life coaching. Becoming a life coach can be especially appealing if your own life pursuits have you jumping from job to job or struggling to make your college degree truly serve you. It might be time for you to align your life’s passion and purpose. And there is no better way. By focusing on life coaching, you’ll not only be adding rich value to your résumé and future potential as an employee or business owner, you are also guaranteed to tune up your own life along the way. That’s why many a coach will tell you they first came to coach training for their own benefit. A focus on life coaching isn’t just for coaches either. It’s for anyone who wants to help their special people thrive in the possibilities life has to offer, including teachers, parents and caregivers. As a Whole Person Life Coach you will help your clients to determine what matters most and how best to achieve what they want from life. Together you’ll support them to self discover the essence of who they are and who they want to become. When they are struggling with self-limiting beliefs, resistance to change or fear of success, you will provide insight and encouragement. While Life Coaching is certainly one of the more popular forms of coaching today, within this niche you can specialize by leveraging your unique blend of life and work experience, expertise, passions and life purpose. Still not clear if becoming a life coach is right for you? 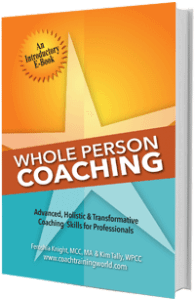 You can rest assured that training to become a Whole Person Coach, will allow you the opportunity to work with a wide variety of people and coaching contexts.